Celebrating 15 years as a stand up comic, Bob Marley is one of the hottest and most sought-after comedians in the country. He has been featured in his own special on Comedy Central, and is one of the few comics to do the complete late night television circuit, Late Show with David Letterman, The Tonight Show with Jay Leno, Late Night with Conan O'Brien, The Late Late Show with Craig Ferguson, and The Late Late Show with Craig Kilborn. 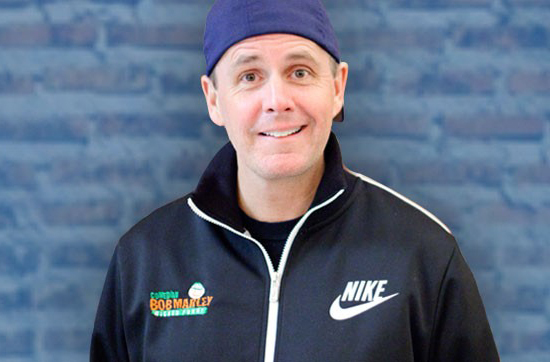 The Maine native is featured regularly on Sirius XM radio and has even won their Superbowl of Comedy. He has put out over 20 comedy CDs and DVDs. He was inducted into The Guinness Book of World's Records for "the longest stand up comedy show by an individual" at 40 hours of straight standup! He's been on over 100 TV shows and costarred in Boondock Saints I and II and All Saints Day, playing Detective Greenly. He has toured the US, Europe, Canada, Kuwait and Iraq.